Welcome to Saint Melany Byzantine Catholic Church, situated in mid-town Tucson, where the Divine Liturgy is celebrated every Sunday at 10:00 AM. 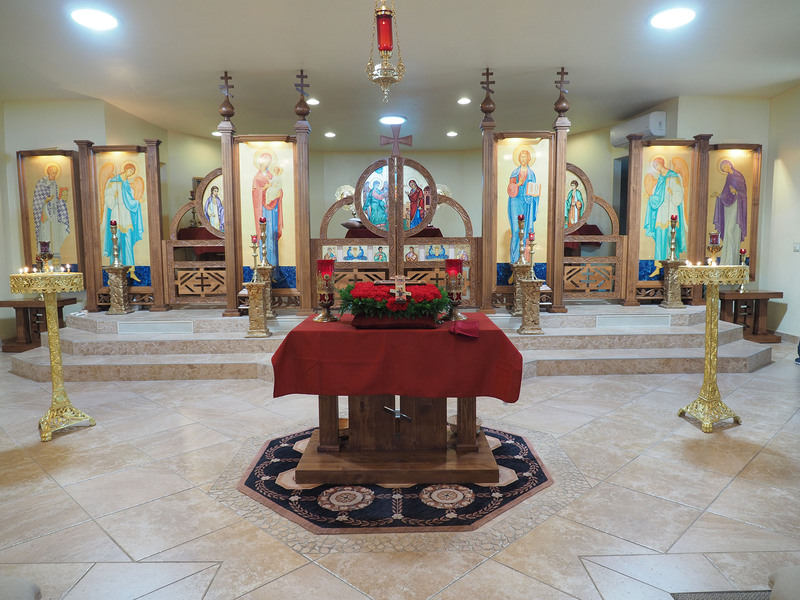 We also celebrate a 5:00 PM Sunday Divine Liturgy at St. Mark the Evangelist Catholic Church which serves the Byzantine Catholic community of Northwest Tucson, including Marana, Dove Mountain, Oro Valley, Rancho Vistoso, and nearby areas. In addition, we host a 4:00 PM Divine Liturgy on the first Saturday at Good Shepherd Chapel in Sierra Vista. 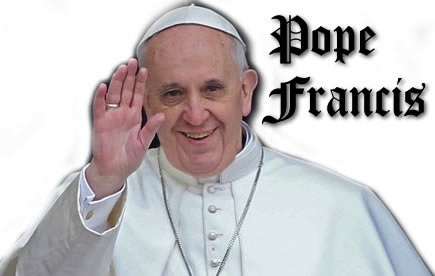 We are a Catholic Church in full communion with the Roman Pontiff, Pope Francis I, but we are a separate liturgical church tradition within the Catholic communion of churches. We possess our own hierarchy and Eparchies, or Diocesan jurisdictions. Presently, there exist four Byzantine Catholic Eparchies in the United States: the Eparchy of Passaic covering the East Coast, the Arch-Eparchy of Pittsburgh covering the lower Midwest, the Eparchy of Parma covering the upper Midwest, and the Eparchy of Phoenix which covers the Rocky Mountain states, the Pacific Coast, the Southwest, and the Pacific Northwest including Alaska and Hawaii. 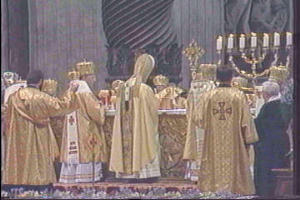 Here Pope Saint John Paul II celebrates the Byzantine Divine Liturgy at Saint Peter’s Basilica in Rome. He demonstrates that, while his governance extends to only the Roman Rite, his loving primacy extends to all other Catholic liturgical churches. Notice too, that the Pope prays facing liturgical east—toward the rising sun—symbolizing the resurrected Christ. The seven branch candle stand represents the seven gifts of the Holy Spirit. These symbols are so characteristic of the Byzantine Liturgy.